60 Minutes interviewed our CEO and founder, Ayah Bdeir, as part of a larger segment to shine a light on an issue that is core to our mission: how to eradicate the gap of women (and girls) in tech. 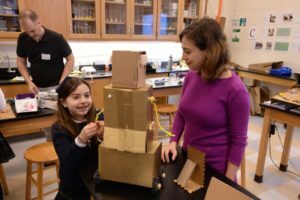 Ayah talked to correspondent Sharyn Alfonsi about solving one of the most vexing problems in education — the “middle school cliff” when girls start to veer away from STEM-related activities. She emphasized the need to start early — specifically between the ages of eight and 12. Ayah also explained how littleBits is specifically working to capture elementary and middle school-aged kids’ interest in STEM through arts, innovation and creativity. 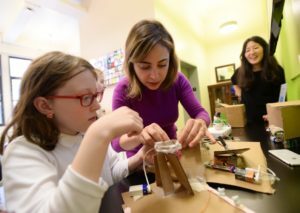 Sharyn traveled to the Marymount School, which teaches elementary school-aged girls fundamental confidence with circuitry, technology, and engineering through littleBits. The segment documented the contagious spirit of innovation and creativity at Marymount and even included one student, Sophie, explaining to Sharyn how she created a robot that can give you a hug on a bad day. Below, you can find some exclusive images of Ayah visiting Marymount School to see what its young inventors are up to! You can tune in to the full 60 Minutes episode, here. 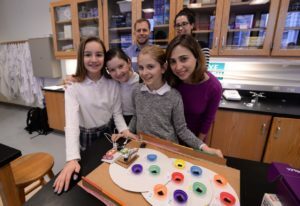 Learn more about how Marymount School NYC has integrated littleBits into its STEAM program. Every student in grades 3 – 5 has her own kit! The post littleBits Founder Joins 60 Minutes to Discuss the “Middle School Cliff” appeared first on littlebits.com.